This week we have added a few new enhancements to the platform. We have added support for additional RSS feed types. We now support a wider variety of feeds including Media RSS and additional image support. 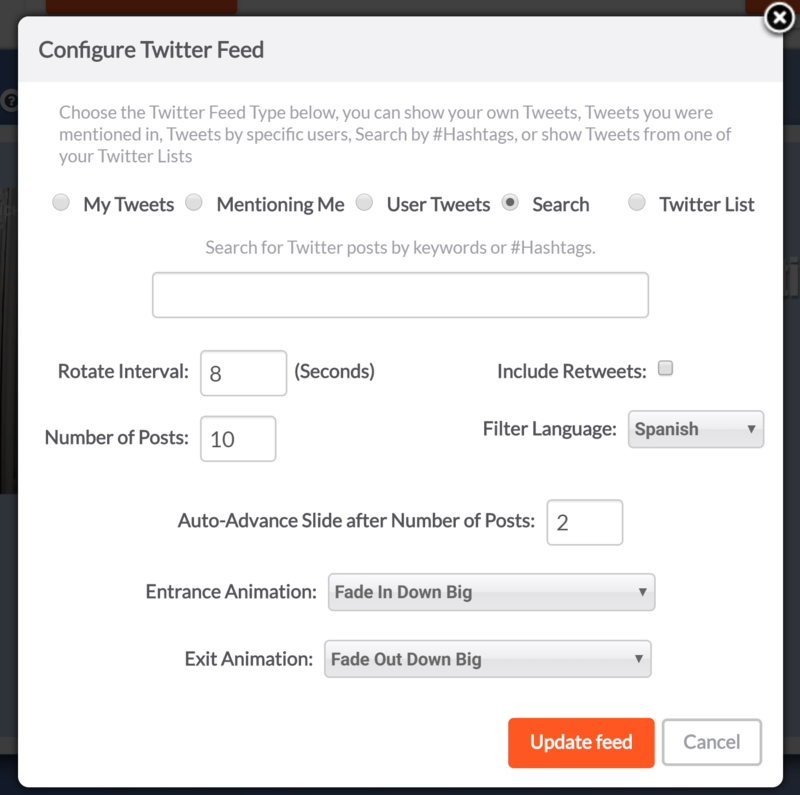 We have added the ability to filter Twitter feed numerous ways on your sign. You can now show your own Twitter timeline, Tweets mentioning you, User Tweets, Tweets from one of your Twitter Lists or even Search for Tweets and filter by a Language. You can now edit slides on your mobile device, it is still easiest to modify your slides on a desktop or laptop, however you can now drag and drop and replace images and modify text right through your mobile devices.